As each new year begins and we say farewell to the old year, the same handful of thoughts goes through my mind…how can I make this coming year better than last? How can I spend more time with my family and less time working, cleaning, shopping, and cooking? How can I meet my healthy living goals (including losing a little weight!) without spending all my time stressing over what I eat? I love to cook. I really do. But I don’t have the time to spend hours in the kitchen every night. There’s just no way. Between work that needs to get done and kids that need to be picked up and dropped off, it’s practically impossible to dedicate more than a few minutes to getting dinner prepped and served each night. Typical “fast” dinner options simply aren’t an option for our family very often. With our family of six at home (including three teens and a tween), a lot of the convenience options are just too pricey, not to mention the fact that they are usually not very diet-friendly. That’s why we love having Tyson® Grilled & Ready® Chicken Breast Strips on hand in the freezer. I picked up a 3-lb bag in the freezer section at Sam’s Club during a recent trip because it’s the ideal ingredient for quick and easy dinner recipes. I love that Tyson® chicken is something I can feel good about feeding my kids, and it certainly helps that we all LOVE how delicious it tastes, too! 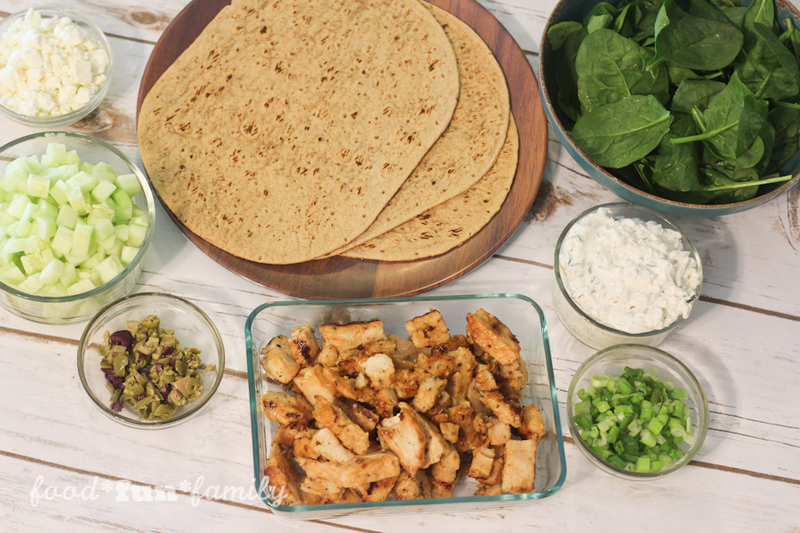 There is so much you can do with a bag of Tyson® Grilled & Ready® Chicken Breast Strips from Sam’s Club. We love to add some chicken strips to a salad or use them in a soup. They’re even great on their own, served with a side of vegetables and mashed potatoes. 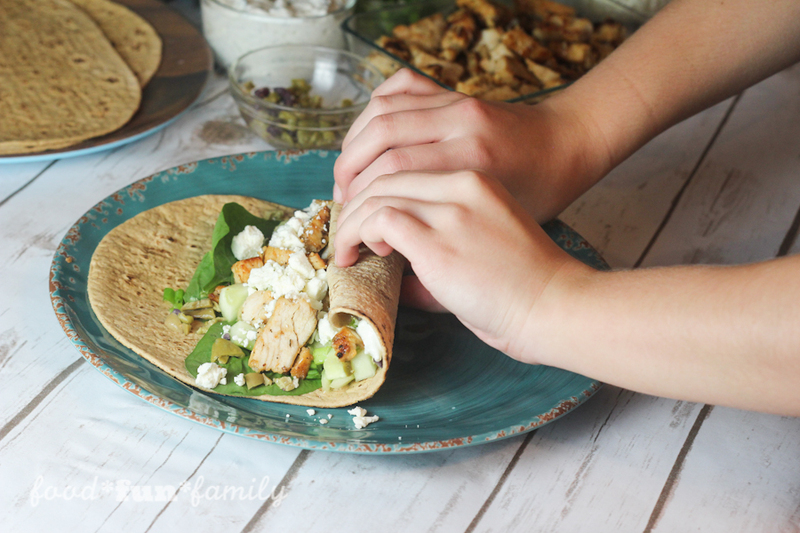 Recently, we made easy Greek-style chicken wraps for dinner, and not only did the kids declare their love for them, but my husband claimed that they were THE BEST wraps I had ever made. That’s a pretty bold statement for a dinner that only took me 15 minutes to make! 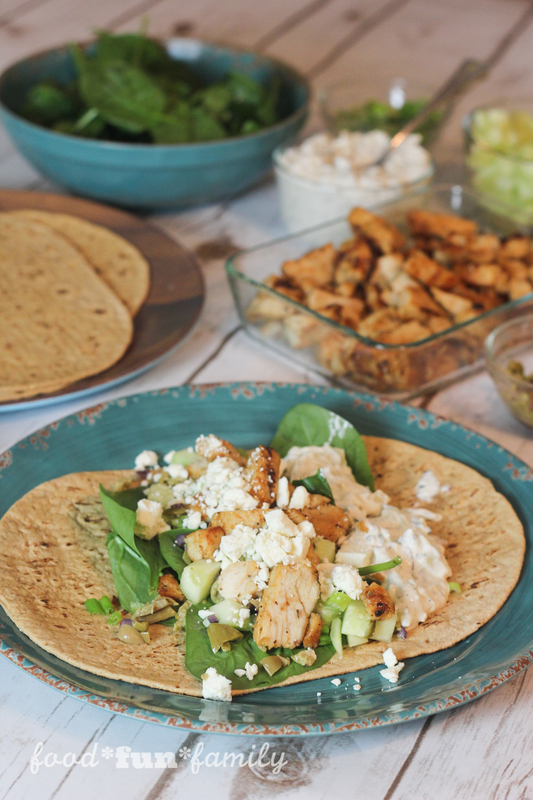 Because I knew everyone’s preferences are slightly different, I let everyone assemble their own wraps, which means that there are no specific measurements for ingredients. I personally love mine filled with a whole lot of everything. My son left off the olives, and my daughter preferred hers without sauce. So adjust the ingredients to suit your family’s needs. Drizzle a small amount of olive oil in a skillet over medium-high heat; add some minced garlic and stir. 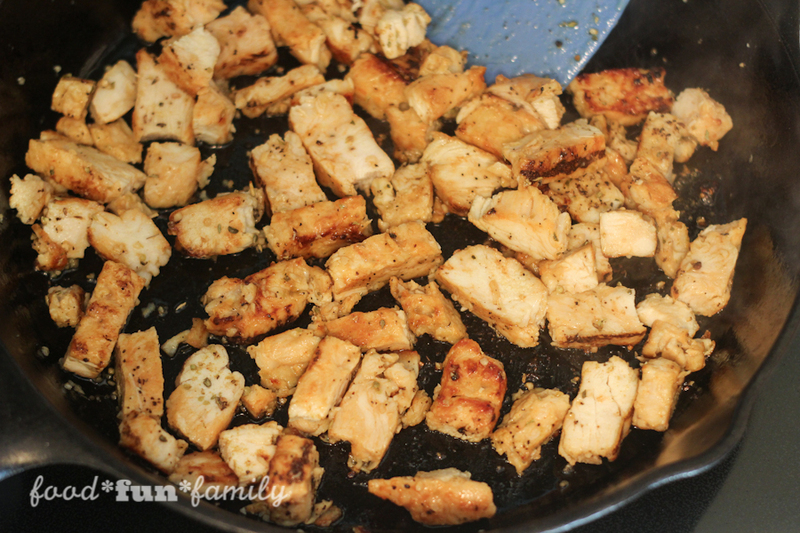 Add Tyson® Grilled & Ready Chicken Breast Strips to the hot oil; sprinkle with oregano, cumin, and lemon pepper. Cook chicken until heated through. Meanwhile, dice cucumber and prepare the other wrap ingredients. 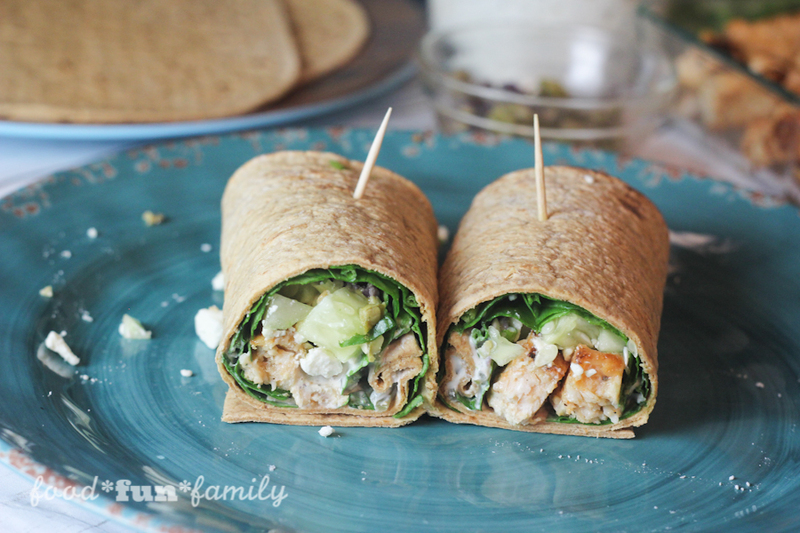 To serve, each family member takes a wrap and fills it with their desired ingredients. Roll the filled wrap up and secure it with a toothpick. The chicken was so flavorful and tender and paired perfectly with the fresh and cool veggies and tzatziki sauce, and we can’t wait to have it again! 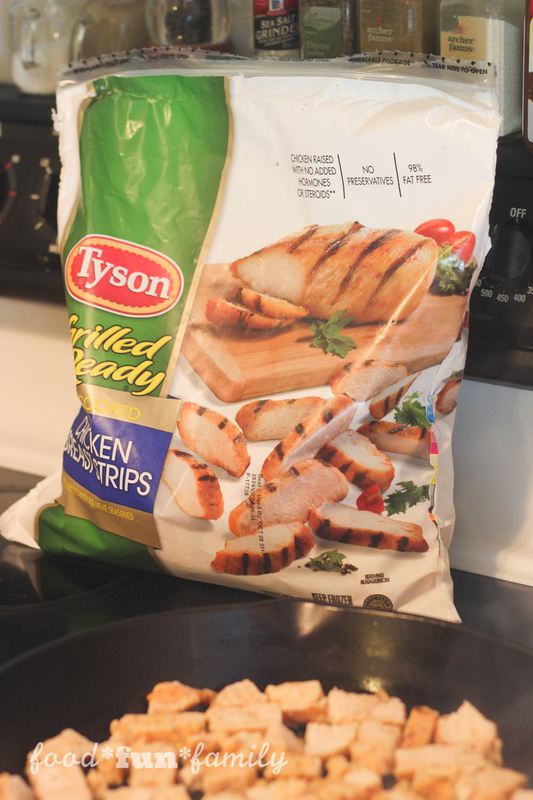 Save on Tyson® Grilled & Ready Chicken Breast Strips at Sam’s Club! $5 off 2 bags mobile app reward! 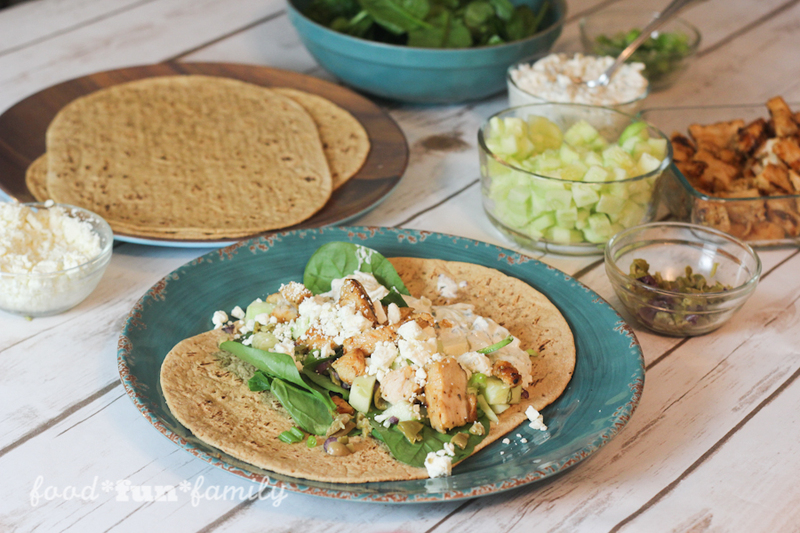 Great idea for a quick dinner or lunch! 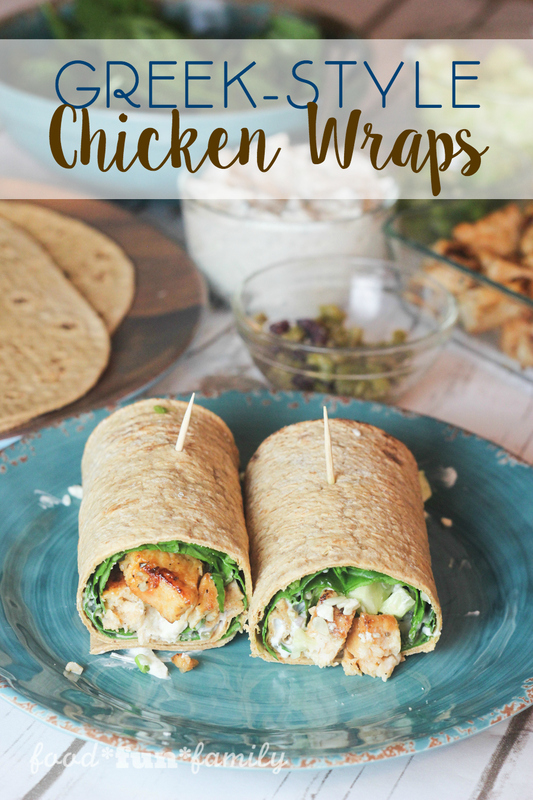 It looks so delicious and I absolutely love the Greek-style chicken wraps. Thanks for sharing the interesting recipe. This looks so good. I never thought of getting chicken strips done like this, I always make from scratch, but then don’t have something as good as this that often. I want to try it!